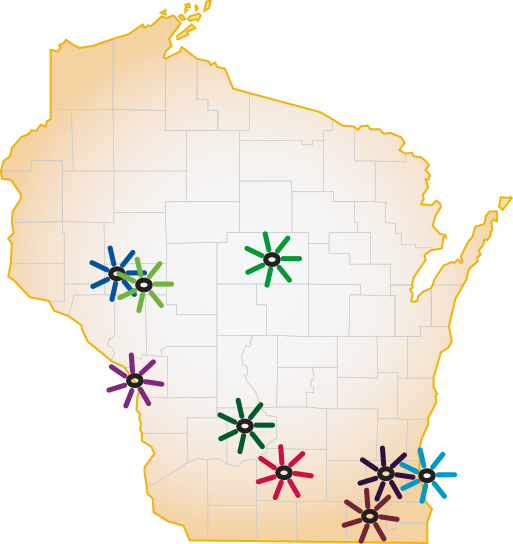 The Statewide Osteopathic Collaborative is a unified, statewide program providing excellent osteopathic education and curriculum at all residency sites: Baraboo, Eau Claire/Augusta, La Crosse, Lakeland, Madison, Milwaukee, Waukesha, and Wausau. The Osteopathic Collaborative includes the osteopathic residents from each statewide location. The presence of both osteopathic and allopathic physicians strengthens the programs and educational/clinical experiences for all, including patients. Osteopathic residents and faculty join together for quarterly OMT conferences to practice and deepen their osteopathic assessment and manipulation skills. Residency programs within the Statewide Osteopathic Collaborative are among the first in the nation to receive ACGME Osteopathic Recognition, reinforcing our commitment to providing osteopathic education within the Single Accreditation System. Why should I consider an Osteopathic Recognized family medicine residency at the University of Wisconsin? There is support for integration of OMM/OMT into the resident’s practice along with the other areas of medicine. Residents have opportunities to use OMT within the continuity clinic setting and may have opportunities to gain additional experience in a specialized OMT clinic. Additional training in OMM/OMT presented by UW DMFCH osteopathic faculty and experienced teachers from an osteopathic medical school at four, day-long workshops annually for osteopathic residents. The University of Wisconsin Residency Programs have a long history of teaching osteopathic residents. All osteopathic residency graduates have passed the osteopathic family medicine board exam. Osteopathic and allopathic residents learn together in a collegial atmosphere. 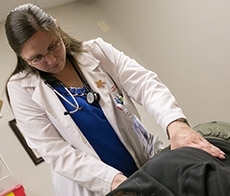 Every program site has active osteopathic faculty and osteopathic community physicians. What does ACGME Osteopathic Recognition mean for the program and osteopathic residents? In 2020, the AOA will stop accrediting osteopathic residency programs. Instead, osteopathic programs will be accredited by the ACGME and can apply for additional Osteopathic Recognition for the osteopathic training they provide. Our programs have already achieved Osteopathic Recognition from the ACGME based on our current osteopathic curriculum and training. There will be no change to resident licensure; osteopathic residents will continue to take COMLEX. Osteopathic residents will still be eligible to take the AOBFP exam. Do I need to do an 'audition rotation' at one of the Department of Family Medicine and Community Health sites? Fourth year students are welcome and encouraged to do elective rotations within a Department of Family Medicine and Community Health clinic site, but it is not a requirement. Doing so will assist you in your decision-making process by having learned first-hand about the program and location. For additional information see: Electives for visiting students. Do osteopathic residents rotate through all of the various program locations? No. Residents match at a single program and complete their training at that location. How many osteopathic positions are available? Programs do not have a specific number of spots set aside for osteopathic positions, so flexibility exists for residents to apply at programs that are best suited to their individual needs. For information related to the Statewide Osteopathic Program only, please contact: OsteoApplicants@fammed.wisc.edu or call 608-262-2218. See our residency program page for an overview of the various locations and opportunities. For specific program questions, see residency program contacts.